← When You’re Least Expecting It. . . . 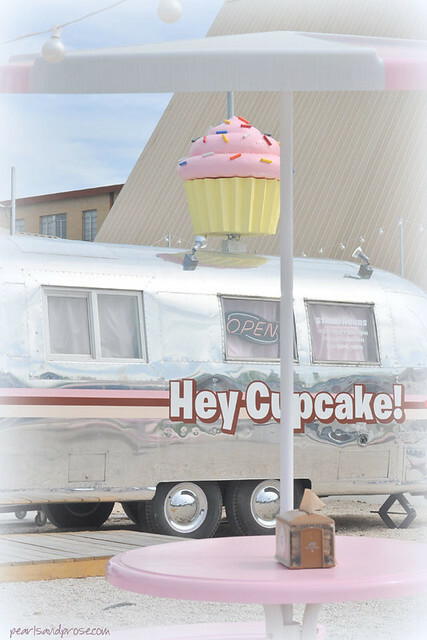 When we went to Austin before, there was a long line of food trucks on South Congress with a cupcake trailer at the end. This time, the Hey Cupcake! airstream had moved to its very own space on a corner up the block. 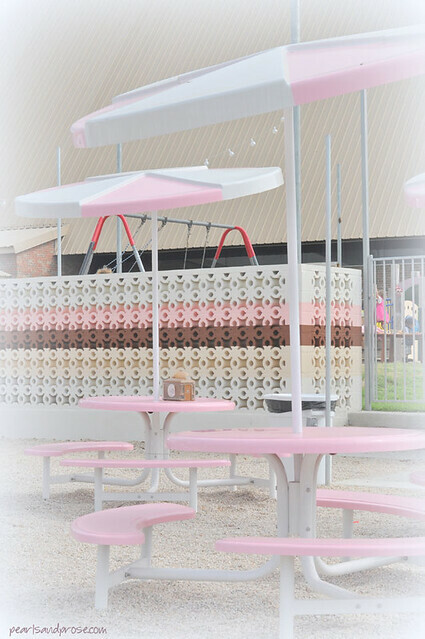 They even painted the cinder block fence in their colors. The cupcakes are really good, but we were too full from lunch this time. 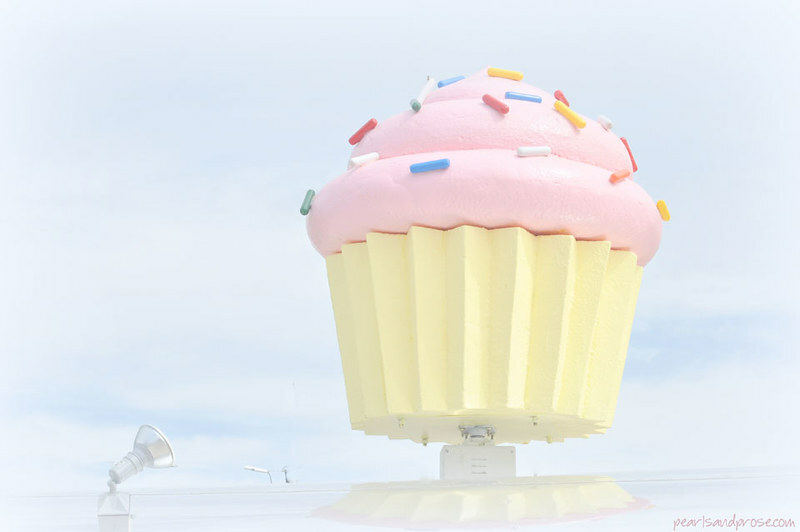 A giant cupcake in the clouds? Someone’s idea of heaven. 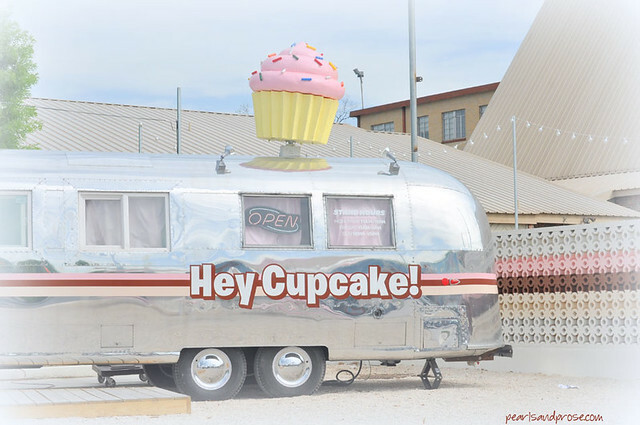 This entry was posted in photography and tagged Austin, food truck, giant cupcake, Gulfstream, Hey Cupcake!, SoCo, Texas. Bookmark the permalink. 14 Responses to Hey Cupcake! What a cool Airstream and —more to the point……what a cool set of pics. Terrific. I like what you did with these photos, there even more pastel like that. Can you believe it, I’ve only had one cupcake in my whole life. And from Starbucks. That’s the only ones I could find here. Not sure they are any good, I’mean compared to others. They tated OK but very sweet, too sweet for me. makes me hungry just looking at their SIGN !!!! There are quite a few food trucks that park outside my office building during lunch. There is every food option imaginable from grilled cheese to Asian tacos to lobster rolls. But I don’t think I’ve seen a cupcake truck. I hope one comes to my neck of the woods soon! Oh, you are lucky to have all that, Jackie. Food trucks have come such a long way from hot dogs and cotton candy, haven’t they? Um, can I have a cupcake? Or three? Nice shots. love the softness in them. I added a soft white vignette and a bit of “glow” to these shots.